"The way one eats, defines what kind of a person he is mentally and spiritually. The process of eating is a sacred act, which should be treated with all due seriousness." "God wants us to live long and happy lives, and we have put ourselves in slavery through the diseases. In order to get well, you must take not of the following: believe that light has an absolute power to heal all diseases, believe that air has an absolute power to heal all diseases, believe that water has an absolute power to heal all diseases, believe that food has an absolute power to heal all diseases, because of God’s presence in them." "The stomach must learn the laws of the mind, it must be in harmony with the mind. There should be diplomatic relations. It should be very kind and polite towards the mind, if not – it will find itself in a difficult position. Therefore the organization starts with the stomach. This is the physical world." "When in one’s life there are a series of failures, accompanied by series of illnesses, suffering, loss of money, including among his relatives etc. People start dying in this family and if you trace the lives of the entire family, of the entire kin, you will see that the reason for the death is due to the improper eating. All the miseries are due to improper eating. Whoever does not believe that, should – when misery falls upon him – check and see what food had he been eating and continues to eat. This is the only way he can be convinced of the truth in my words. In this respect nature has been very careful. It has created an abundance of food for everybody, and also created suitable food for all different living conditions. If you want to develop the mind, heart or will, you will have to use the respective food for them. If you want to be an artist, a painter or a musician, or a scientists, you must choose the suitable food. Through food only you will be able to achieve what you want." God is a consciousness, where all the other consciousnesses live. And he tries to adjust all these consciousnesses in Himself. God wants to tell us: “When you need food, turn to Me, I will satisfy you, do not turn to each other for food “. If, however, you need food, instead of turning to God for that and addressing Him, you go for food to the henhouse. The hen cackles, cackles, but you wouldn’t listen, just saying: “It was written there, that the hen was created for men“. If God lives in a hen, you have the right to eat it. But there are hens, in which God does not live. Therefore you can’t eat such hens. God lives in some animals, and in others – does not. Currently the Lord lives more in fruits. The outside of the fruit is just a garment, you can eat that. Te fruit says: “When you eat me, plant my seed somewhere, so that the complete balance can be restored “. There are several sources for man’s vital forces —food­, air, water and light. Other sources are his thought, feelings and deeds. Each one uses such food, which corresponds to his development. Ordinary people eat in an ordinary way – they take the food­ and chew it. The adepts only eat air. And some of them only consume air once a month, others – once a year, and the most advanced – once in their entire lives. They differ from ordinary people in processing their food a long time. There are adepts, who live only on light. Most saints and adepts eat food, knowing how to draw out their nutritional juices. All the creatures, which have completed their development, use food which is more ethereal than fruit. This makes them eternal. Eating brings in death, through the discharge of the microbes. Each item of food must correspond the development of a person. According to the degree of his mental and spiritual development, some only eat meat, others – plant food, and yet another – fruit. It is important for a person to know how to eat.. When it comes to the evolution of the soul, one will only eat fruit. The food­, people consume define if they are going to be smart or stupid. This depends not only on you, but also on your parents, on your grandparents and predecessors. It depends also greatly on food­, which your mothers and fathers had eaten, as well as the food of your predecessors. This is a whole science. The way one eats, defines what kind of a person he is mentally and spiritually. The process of eating is a sacred act, which should be treated with all due seriousness. God never helps people, who do not know how to eat, how to breathe or how to think. Eating is a force, which can bring you closer to God. The simplest reaching, which you may apply even now, is the teaching of proper eating. 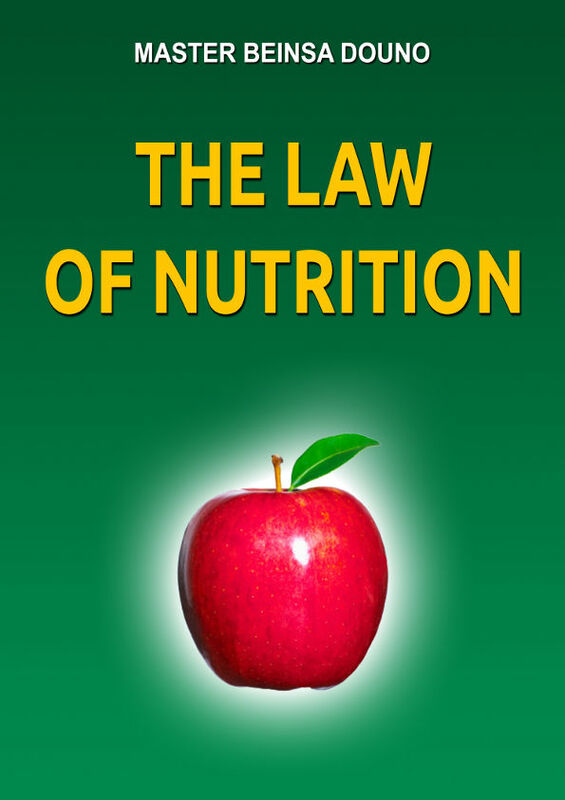 I advise all of you to get down to the teaching of nutrition, and not to think that you already have your pass to heaven. If people want to be saved, they must start from the food. The new generation must be created out of fine matter. One brings such elements to his blood, as the food he eats. Knowing that, he must keep his blood clean, because health depends on it, as does his mental condition. The eating habits and the life one lives, may provide information on how many years his car, i.e. his body will serve him. This also depends on one’s reasonableness. One who does not live reasonably is destined to a premature aging; when one gets old, his leg get weak and fail him. Such a person is thus dependant on other people and often becomes a toy in their hands. Education must start from eating. Eating is a Divine process. Then entire mistake of eve was that she did not know how to eat. She did not listen to the Lord, but listened to others, who advised her to eat the fruits of the forbidden tree. If you eat what s suggested by people, there will always be indisposition and ill mood. There is an internal feeling in everybody, which tells them what to eat – you should listen to that. Improper eating harms the good relations between people. The life which we may spend on Earth will be defined, according to the food­­ of our mind, of our heart and of our bodies. All the diseases are born of our minds and our hearts. The stomach and soul get sick, because we give them bad food. If there is not enough light in one’s mind, neurasthenia­­ is already at the threshold. When you study life, study first those elements, which sustain it. These are the strongest desires – i.e. breathing and eating. Knowing the main desires of a person, you can determine his secondary desires. If an angel eats human food, he will become a human, and loose his angelic qualities. When in one’s life there are a series of failures, accompanied by series of illnesses, suffering, loss of money, including among his relatives etc. People start dying in this family and if you trace the lives of the entire family, of the entire kin, you will see that the reason for the death is due to the improper eating. All the miseries are due to improper eating. Whoever does not believe that, should – when misery falls upon him – check and see what food had he been eating and continues to eat. This is the only way he can be convinced of the truth in my words. In this respect nature has been very careful. It has created an abundance of food for everybody, and also created suitable food for all different living conditions. If you want to develop the mind, heart or will, you will have to use the respective food for them. If you want to be an artist, a painter or a musician, or a scientists, you must choose the suitable food. Through food only you will be able to achieve what you want. If modern science wants to change the nature of man, it must start by selecting the food. For example, if you live for one month only on cherries, one month only on apples, one month only on plums, a month or two only on potatoes, only on wheat or barley or only on rye, or rice, or peas, or beans, or kohlrabi, or cabbage, if you eat only grapes for one month, you will see what effect this will have. All these foods have different effects. Each fruit has specific qualities, which are transferred to man. So, here’s what I say: we get acquainted with the fruit-trees, with fruit and acquire the respective qualities, which they have. We process that material of the plant kingdom. They are better at capturing the energies, coming from the sun and process them for people. Artists tried – one they had to play the part of the perfect love – to eat mutton for a long time, because this meat is conductive to such feelings. Out philosophy depends on eating. Your philosophic belief, your religious belief depend on eating, your art depends on food­. If this food is not pure, you won’t have a bright mind, if that food is not pure, you won’t see anything around you. An artist with a poisoned blood cannot see and paint good pictures; if a musician’s blood is poisoned, he cannot play properly; a mother with a poisoned blood, cannot raise her children; a teacher with a poisoned blood cannot educate children. In order to understand which food is healthier, let’s make the following experiment: we will impose a regime on a person - for three months we will feed him only pork and let him drink half a litre of wine three times a day. Another person will love on a fruit regime — for two months he will eat exclusively fruit and drink clean, hot water. During the experiment we will observe both, and see what their relations with their relatives and the other people around them are. Food­, coming from above, gives life. The life, descending from heaven, aims at transforming the current people. Man cannot be transformed in any way, if he does not change his food. Until then, while the wolf eats meat, he will remain a wolf. Food­­ defines character. In order for the criminal to be corrected, he should be given suitable food. If you give a criminal only wheat for three years, you will see how he shall change. The happiness of a person depends on his eating. If he knows how to eat, he will be happy. If you observe a man, while he is eating, you will know what will happen. You will know the results from the eating. Sometimes, when somebody comes to me, I divinate otherwise. I have a science, which I keep to myself. Sometimes I, wanting to find out what a person is, I give him lunch than I have the precise data, where everything is predetermined. And sometimes I give lunch to myself and observe myself, and again I know what will I do. But teach this art to nobody. This is something that cannot be conveyed. So I say: if you know how to eat, everything in this world depends on that. The good fortune in any area generally depends on man’s eating. Look at how somebody is eating and you will see if he will become smart, a scientists, if he will be good, well-spoken, a musician. Eating can produce anything. When you see somebody eating 4­5 times, you can tell what will become of him. Depending on what food you eat, this is what you will become. This law is correct in both the physical and the spiritual world. Animal or human blood, shed through violence, cannot but bring bad consequences for man. This is a strict and stern law of nature. Just observe what food one eats. You don’t have to know his nature. It is enough to know what kind of food he eats. When you see what kind of food he eats, you will know what his character is. You say: “How is this possible?“ Just see what food does the wolf or spider, or the snake eat, and you will see what their character is. What does the sheep eat? Grass. So food has created the wolf, food has created the snake, food has created sheep’s character etc. Through food you will understand the character. The wolf, which eats meat, has a different character, from that of the sheep, which eats plants. People who eat regular food, have one character, and those who eat the Divine Food, have another character. The wolf cannot commit a crime in one case, and in another the wolf can commit a crime. The wolf can commit a crime – he can eat a wolf; the wolf cannot eat a wolf. The sheep can graze down a field. A wolf can never graze down a field. It is all about the capabilities. If the wolf devours a sheep – whose fault it is – wolf’s or sheep’s? It is sheep’s. What does the sheep do up there in the mountains with the wolf? If the sheep grazes down a field, is it sheep’s or field’s fault? It is field’s. What does the field do near the sheep? So the law here is the same. The sheep, which stands still is eaten by the wolf. The field, which stands still, is grazed down by the sheep. Evil is not in eating. When a certain food is being forbidden, this is done in order to avoid any suffering of the being, using that food. All the evil, suffered by people, is due to the fact that they eat the apples, without sawing their seeds. They milk the cow, without taking care of it. They milk it, give it some straw and on Sunday they give it some grain – they use the cow. Nature never likes mere use. Here’s what I say: woe to those who use their neighbours! (...) Woe to them. Blessed are those who do not use. Do you think a wolf is just to a sheep, by catching and tearing it to pieces? If you ask why it tears the sheep to pieces, the wolf would say: “This is a pastry, made for me, to try it “. The wolf would reply about the sheep, the same way you would about the pastry. When you tear apart a pastry, you just say: “It is done for me“, and you put no life at all in the pastry. The wolf never thinks that there is a soul in the sheep, and it suffers — the wolf sees it as a pastry. Whether the wolf thinks like that or not – this is a matter of comparison, I am just making a comparison – you can make a comparison as well – there is similarity. If the wolf could grasp that the sheep suffers, and that one day it shall suffer as well, it would never do such a thing. It considers that a necessity – it must eat the sheep in that given case. We, modern people too justify our deeds the same way. When we slaughter a sheep and say: “This is a necessity for us “. There is no divine law, which forbids that. In nature there is no law, which says what should be eaten. Eating meet for us is an arbitrary act. The reflection of the angels are the tetrapods — cows, oxen etc. They are the reflection of angels on earth. Who are the daughters? The sons and daughters are here, among us. How do you treat the sons and daughters? You say: “This is a cow, ox, sheep“ etc. Then what do you understand of life? This is yourselves! These are your brothers and sisters, which sacrifice themselves for your life. They die every day. You butcher them, eat them, take their milk and butter and settle a great question: what is God. More than 35 million animals die in an ear, not of natural death, but because they are killed by people. The least number of animals are killed in India. Their religion maintains that animals, and especially mammals, must not be killed. The greatest number of cattle is in India. There they live to very old age and are respected like old people. When they die, these animals are buried. While they are alive, only their milk and wool is used, but never their meet, because they do not use meet. People in Europe eat a lot of meet. A lot of meet is eaten abroad. In America they butcher about 35—40 million pigs every year. There have never been such an onslaught of mammals as now, and that is why there is an abnormal condition in the organic world. Animals have developed the stomach system of people. Seventy-five percent of the current sufferings of people are due to that indiscriminate killing of mammals, of animals, which form cataclysms in the mental world, a great quake. The fact that the nervous system is so shaken, is due to the indiscriminate killing of animals by the white race - this race not only kills animals, but also conserves them. They just stay and rot for years. The outrageous slaughtering of animals for food produces a great turmoil in the astral world, the entire atmosphere is disturbed, and we want to be healthy in this situation! For this injustice – for taking their lives, we will suffer a long time. I would like those claim that animals should be butchered, to show me a single healthy person! Of there is none – let them prove what the reasons are for people not to be healthy. We, cultural people, think that these creatures are our slaves. If we are the masters of the world, let us rule over sicknesses. We cannot rule over sicknesses, poverty, indigence, or earthquakes either. Fear and anger give birth to a terrible poison. I am against meat-eating, because when animals are butchered, when their lives are taken, fear and hatred arise in them, and then one of the most dangerous poisons is born, that poison has poisoned the entire white race. All the nervousness, which is observed among men, is due to the slaughtering of mammals. These are millions of creatures, which – when they enter the astral world – they disturb the entire atmosphere, and yet we want to be healthy. All the sicknesses are due to our injustice towards them. All the sicknesses attacking people are due to former or current crimes. Nothings remains unpunished! The germs, now poisoning the human body, are nothing but the poison of fear and hatred, which the cattle, chickens, lambs felt towards the man who killed and butchered them. Is that possible? It is possible. The same way an offensive word can poison and destroy human body, the fear and hatred of animals, which man butchers, poison his body. Certain sicknesses, bad thoughts and desires, which occur in you, are caused by certain mammals. In order to be relieved of all these suffering, you must mellow down you attitudes towards animals. Often a dog’s hatred may have the same effect as the hatred of a man. Don’t think that animals’ thoughts are very weak. No they are very dangerous for the world. The culture itself carries poisons in itself. They way people are doing, if they don’t correct themselves, they will always carry with themselves their misery. How are miseries born? At first miseries are born of the unnatural selection of food. In America there are statistics, showing that about 35­40 million pigs are killed every year. Millions of animals are killed in Europe as well, as nobody takes into consideration their feelings. The Scripture says: “Whoever slaughters an ox, is as if he is slaughtering a man“. This shows that God is not content with the death of the animals. And here’s what I’m asking: how would human culture be improved, when a large number of mammals are being killed every year? These mammals, when being killed, they created the most unfavourable conditions for the human culture, and those religious people, Christians, they open the Bible every day and read that the Lord has created all that for people. Time created them. After that plants came, which redeem animals’ lives. Animals, on their part, redeem people’s live. And then people say that it is allowed to eat the animals for the good of mankind. This is an internal permission. This is one of the most unnatural types of food. Man may dare to do a lot of unnatural things! When I am talking to you in this way, I don’t want to make you vegetarians in this way. This is unnatural. Now I want you all to have a desire for all those principles, it takes to built a man. If you want to have an excellent mind, an excellent stomach and excellent lungs, you must pick the necessary food. The main task of the animals is to collect magnetism. While animals are healthy, people will be healthy as well, and as soon animals start being sick, people will also be sick. That is why we must be friendly to animals, in order to be able to make use of the magnetic powers which they store in themselves. Due to the cutting down of forests and the killing of mammals, people are subjected to great sufferings, without being able to help themselves. They don’t even suspect that animals and plants are reservoirs of vital powers for the growth and development of man. By exterminating mammals, their vital powers are dispersed in space. As long as people are unable to connect directly to the powers of nature, they are deprived of those very powers, which they would receive from animals. The immense extermination of mammals creates abnormalities in nature. Most diseases are due to the killing of mammals and birds. As far as that extermination does not stop their evolution, al the powers, which are to form their wellbeing, remain unused and thus chaos comes upon the world, which is the reason for the various diseases. Do you know what happens after the arbitrary spillage of this animal blood? Its vapours produce various serums and cultures for the harmful germs, which produce all the evils in the organic world. In order to achieve balance in nature, it had to shed about one million kilos of blood, to balance those animals’ blood. But now, this war lead to the shedding of about 2 million kilos of blood. In order to achieve a balance in nature, about 100 million kilos of blood are to be shed, to balance animals’ blood – and this is what wars do. They way water is needed to wash the clothes, to water the flowers, the same way – if we sometimes commit minor crimes, blood will be needed for cleaning. As long as crimes are big, millions of people will have to die, in order to cleanse the soaked earth of the crimes, so that we can live. You will shed a lot of blood, before you are cleansed. Your happiness in the world lies on the sufferings of those tiny creatures, which serve you. You, who consider yourselves very noble, go and ask the small creatures what do they think of your nobility. All the sheep, oxen, lambs, chickens, ducks, all those birds have an attitude towards you, all of them have a special opinion of men. All the smaller creatures shout in one voice, that man is an extremely cruel being. If you ask the trees, they will also say as well: “Man is horrible, merciless!“ and then you would ask: “Why the Lord has created the world this way?“ No! The lord created the world to be good, but we and all those people before us, have spoiled it. The way the external world is spoiled, it affects our inner selves. The world is made in such a way that when the master suffers, the servants suffer as well, and vice-versa. The same goods God has provided man with, these have also been provided to the trees, and flowers, and little flies and fish, and birds and all the mammals. One day the chicken complained about her master, saying that he always took her eggs away and ate them. At the same time the sheep complained about her master, that he sheared its wool and milked it. The master rejected chickens complaints, in this way: “The chicken should be thankful that I don’t take its life. And as for its eggs, I just relieve it. It lays about 150 eggs every ear, and it can hatch not more than 25­30 of them. What is it going to do with the other eggs?“ and this is how he replied to sheep’s complaints: “You have a lamb, which you feed on your milk. Now I just take a part of your milk. If I don’t shear your wool, you will suffer – heat will torment you.“ And the cow complained about her master but he told it as well that it had no right to complain – it have more milk than its calf needed. And the calf eats milk no more than a year, and after that the milk is free. And therefore I have the right to take it. Man is in harmony with nature, as well as with the Divine world, while it makes use of the surplus of goods. If he wants to use all the goods, he disturbs that harmony. Nature preserves a part of the goods for itself, something like an emergency stock. Whoever dares to lay hands on that stock, he breaches the great rules of life. There is a human habit, which people themselves have introduced in their lives, and which they must eliminate themselves. In order to escape these rules, people have to eliminate the human rules and impose God’s, the Divine nature of man. Every person can find the divine understanding in himself – nowhere else. No matter how hungry a person may be, he will never cut a piece of meat from his leg or from another place. One would never let himself eat from his own meat. If he cuts off a portion of his own meat and tries to eat it – he will feel utmost repulsion. If you feel such a repulsion when it comes to you, why don’t you feel the same about others? Why a hungry person, when there is nobody around, can starve to death, without being tempted to eat from his own body? Why he can starve to death also when there are other people around? In both cases a person should not touch the meat of his neighbour, of himself, or of an animal. This is God’s understanding. If we apply that in life, there will be no death. Now we have abandoned that true life and take away a life, which is not God’s will: we take an animal, without it being willing, and take away its life. We don’t ask it for its consent. It wants to live, but we eat it. This is not a way to live. The great misfortunes, the great sicknesses, neurasthenia­­, the consumption, which come to this world, are partly due to the extermination of mammals and the cutting down of forests. All the sicknesses are due to the unnatural situation, which we allow in the world. We allow ourselves what we should not allow, because we don’t have a sacred feeling. We allow ourselves to cut a tree, a plant – just like that – out of mere fancy. There are plants that have lived for 100, 150, 200 years and in America there are animals, which have lived 1 500­2 000 years. And Americans cut them down. But because of this arbitrary clearing of forests, of the arbitrary extermination of mammals, there is no other country in the world with so much neurasthenia and so many nervous diseases, as America, and there are no people with so damaged teeth as Americans. You may say that this is a mere coincidence. The law is the same everywhere. We cannot do whatever we want! We must do what conforms to the laws of the living nature. The true man eats through his mind. Man is situated amidst two systems — the mental and sympathetic nervous system. and after he departs from this world, these two systems continue to function in the other world. You may say: “After death the body melts away, it rots and disappears“. No there is something which does not disappear from the body even after man’s death. On the contrary after one dies, that is precisely when he feels even more that is connected to thousands and millions more creatures. So – no matter what people you used to be connected with before your death, you will feel this connection the strongest. If you were connected to people of the stomach, for example, that connection you will feel most. If you used to be connected with people of the lungs – the strongest connection you will feel, will be that with them. Therefore don’t think that when you go to the other world, you will be free. If on the Earth you used to be connected to people living only for their stomachs, in the other world, you will be connected with their desires, which will constantly bother you. When somebody dies, if he used to love indulging himself in eating, when the physical body disappears, the capability of eating and drinking disappears as well, however the desire persists, and that is why that person continues to go about those people who eat and drink – he urges them, but remains hungry, for he has no physical organs. You will find people, who are like you. The kind of person one is, it is that kind of people he will find: whoever likes to gossip, he will find people like him – gossipers; whoever loves money, he will find others who love money as well; whoever likes to drink – he will find drinkers like him. All day they will walk about in the world, and when they find somebody drinking, they will say: “Leave something for me“. The one who likes smoking tobacco will find those who like smoking too. The ladies, who like to put make up on their faces, will find others alike. Do you know how funny souls are? A soul thinks that it has hair, it has a face, that it sits in front of the mirror, putting makeup on it. There is no makeup! Then it puts on a dress and other clothing, but there is none. Things are much different there. It takes years, until a soul acknowledges that it is just a dream. It is just like, when you are dreaming that someone is chasing you, or when you are dreaming that you are rich. There is a whole lot of them around a gluttonous person; they see you, stay by your side and start giving you advice. But they only love the smell: when you are cooking fish, when they smell it – they feel great pleasure. I’ve heard people say: “Couldn’t God make people so that they didn’t have to eat?“ Of course he could. After you die, you will no longer eat. After you die, you will go to people and watch them eat, and you will want to eat as well, but won’t be able to do it. You will look at all the tables, and see everybody eating, but you wouldn’t be able to even taste a dis. You will only live with your past experiences. You will try to lift a fork, and fail. It takes several thousand souls to lift a spoon and put it in the mouth. And three or four weeks will pass until they lift it, and food will be spoiled. They can’t lift a human spoon, because if they try to do so, they will entangle themselves in the karmic law of cause and effect. Some people wonder how a spirit is unable to lift a spoon. How can you do that – there is vortex – if you try to jump over it, you will fall in the abyss – nothing will remain of you – this is a vortex, you can’t jump over. So some people do not understand this law. Not just one soul – even if thousands gather together, they will still be unable to lift a spoon. And a single person can lift not one, but as many spoons he wants. Earth, and still in existence, he must study the laws of good, so that he can satisfy his hunger and thirst. It is only good, as a great rational principle that can relieve a man of his thirst and hunger. Good is the foundation of the great law of liberation. To be good, this means to be liberated from slavery, i.e. from the world of limitations and death. By “death we mean those conditions, which deprive a man of all the goods of life. This is the reason why people fear death. Those, who don’t understand death think that it will liberate them from the hardships of life. But it shall not liberate them, but take them to non-existence. The thought of the non-existence is an acid, which frets and destroys. If a person thinks too long about non-existence, at the end he will evaporate. Many philosophers evaporated, for the mere reason that they fell in the area of non-existence. No ordinary person, mortal has ever solved or will ever be able to solve the issue of non-existence. Whoever dealt with that matter, achieved nothing,..
“Then why was I ever born?“ To be good. “How can I become good?“ By satisfying your thirst and hunger with goodness. This is a rational nutrition. This is how you can understand Christ’s words that man can live not only on bread, but also on any rational Word, coming from God. Whoever eats goodness, he never dies, he becomes the master of the conditions and enters the area of existence. So only good is real. Only that, which does not change or perish or can ever be destroyed is real. Because good never changes, it is never lost and it does not disappear, it is real. Is water real? For us it is not real, because it changes. For other beings, however, water is real. Hard matter is real for us. Imagine that you are in non-existence, you have all the desires, thirst, hunger and striving and you preserve them, not having any conditions for what is inside of you. Do you know what suffering that will be! Not to occupy any space and to think that you have something. To want to eat, to feel that, to suffer and have nothing to eat. You see nothing around you, everything is emptiness, there is no space, you are in the dark. In what position will you be? It is non-existence. From the perspective of our current lives, everything is imagination, a hallucination. It is a hallucination, because you have nothing to realize in the non-existence. It is true that you can’t eat, because you have nothing, nothing exists, but at the same time, in you there is an impulse, which is called thirst and hunger. You want to eat, but you have no stomach, to put the food into. You want to catch somebody, but you have no hands, you want to go somewhere, but you have no feet. Here’s what I ask: if you find yourselves in that world and you say that you have no hands, feet, eyes, you still have the desire, the desire of life is in you, and you have no life to satisfy your desire, do you know what you condition will be? Years ago, an American wrote a book — “Letters from the other world”, telling about the punishment of the rich. He said that the rich people, who have not done any good in this world, in the other world these people will sit in front of abundant tables with plenty of the best dishes, but once they try to get to the food, the tables go away. They walk after them, approach them, but the tables get away once again and so they constantly go around the food, but can’t get. Probably 10­15 years ago in America they published a letter from the other world. A man wrote to his father. We have everything, he said, but we can’t eat it. You have everything you can think of. He said that the tables were full of all dishes one can imagine. “There is everything on it, whatever you we may want. But if we try to approach the table - it moves away. Whatever we try to approach, it moves away.“ Do you think everything in this world is eatable? You go along a road, the food is there on display, but you haven’t got a single dime in your pocket. You can look it, but can’t eat it. In that world you can’t eat if you don’t have money. There you need money as well. In that world you can’t take anything from a cook, if you haven’t loved him – he will give you nothing. If you love him, the table is not moving. If you don’t love him, the table moves, runs away from you. Isn’t it so in this world as well? A girl, who doesn’t love a boy, runs away from him. And if she loves him, she speaks with him. If boy loves a girl, he stays as well. If he doesn’t love her, he runs. The law is the same. When do you rejoice today? When you roast a pig, a chicken, a turkey, when you pour yourselves some wine, then you sit at the table, start rattling the forks, clinking glasses, drinking for health, for wellbeing throughout the world. However these chickens and lambs are not pleased with your joy, they don’t share it. Your joy is their sorrow. One day the relations will change: your fats will nourish the grass, which the sheep will peacefully graze. This will be the retribution for their meat, which you used for years. This the great karmic law. Christ says: “When we so understand life, all the miseries will disappear and light will be bright“. You don’t know why sheep graze the grass. This is a temporary method, for in the future food will be consumed through the entire body, through its pores, without chewing. You may ask: “What should we do?“ You must always keep open, light and clear the eye, God has put into your souls, so that you can bath in His light and warmth. Often people laugh at the Egyptians, who worshiped Apis. It is this Apis, who mellowed the temper of the Egyptians, who were very realistic people. You may say that this is a delusion. No, they believed that a deity lived in Apis, and they worshiped that deity. Egyptians spiritualized animals and said that there was something Divine in them. They believed that a deity is embodied in every animal, and thus they respected and worshiped all the animals. This is how they viewed Apis, the cat – as a holy animal. Nobody could kill an animal there. They were greatly honoured. In Isaiah, Chapter 77, it is said that when somebody killed an ox it was the same as killing a man. The prophet Isaiah, who lived more than 3 000 years ago, he had higher morals than people nowadays. After all that people say: “Christ Resurrected!“ Christ resurrected, but not for your oxen, sheep, chickens. Until Christ is resurrected for all the living creatures, for your oxen, sheep and lambs, you won’t be allowed to the Kingdom of the Lord. I use words “ox“, “chicken“, „sheep“ figuratively. 2 000 years ago Christ said: “You shall love your neighbour as yourself“. There is something missing in this line, it is not whole. That is why I add: “You shall love all living creatures, from the smallest to the biggest, as yourself “.